One of my pet peeves is the unisex T-shirts that you get at the end of an event - or when you run for charity. Even the 'small' is usually falling off my shoulders and the boxy shape and tight crew neck do nothing for me. Partly this is because I am a short-arse (yes, that is a technical term) but it's also because I am not a man, and therefore a man-sized and man-shaped top is never going to do me any favours! 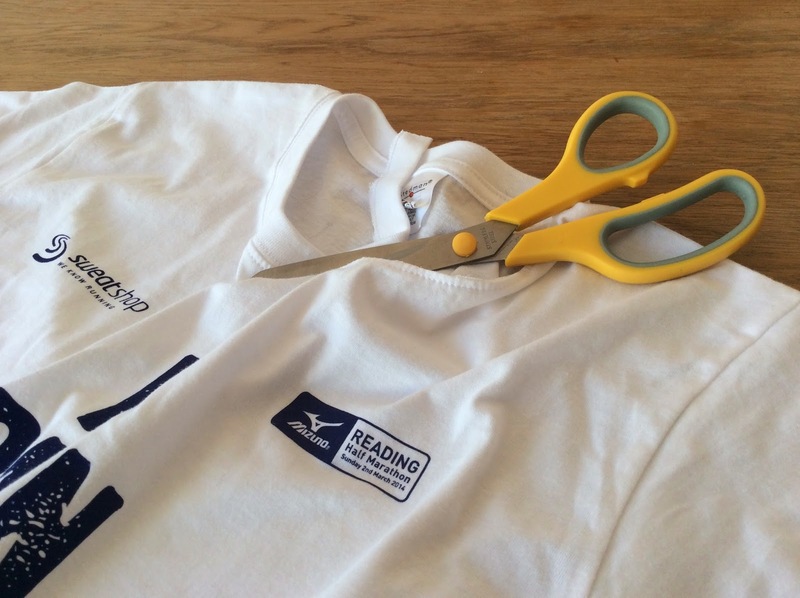 You'll need: Decent scissors, a t-shirt you never wear but would like to and peace and quiet (good luck with that). 1. 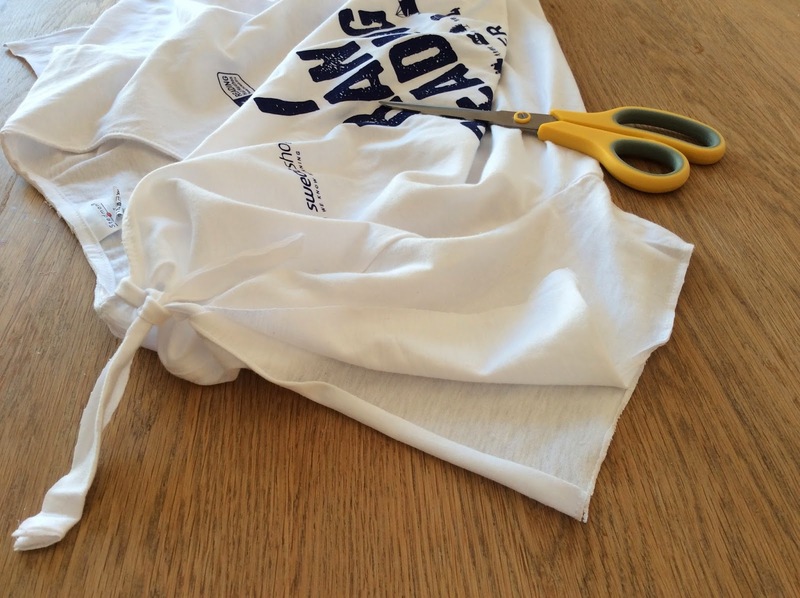 Cut off the collar of the t-shirt, if you're careful/lucky you might still be able to retain one line of stitching to prevent fraying. The neckline will look immediately better! You can go a bit off-piste here too, cutting the scoop and width of the new neckline to your taste. 2. 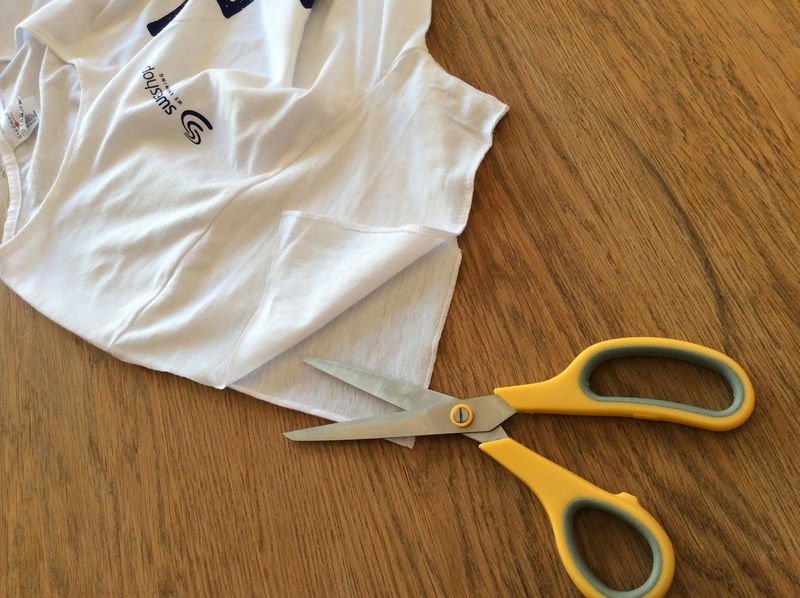 Cut along both underarm seams - you need to cut super straight lines so it might be time for a g&t to calm the nerves here. 3. 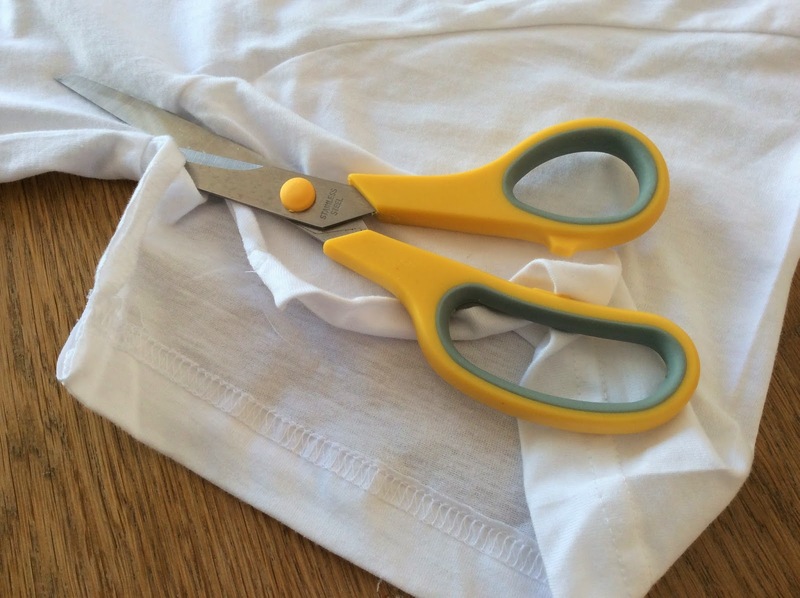 Cut off the cuff at the end of each sleeve (retain the scraps, you need them to make shoulder ties). 4. 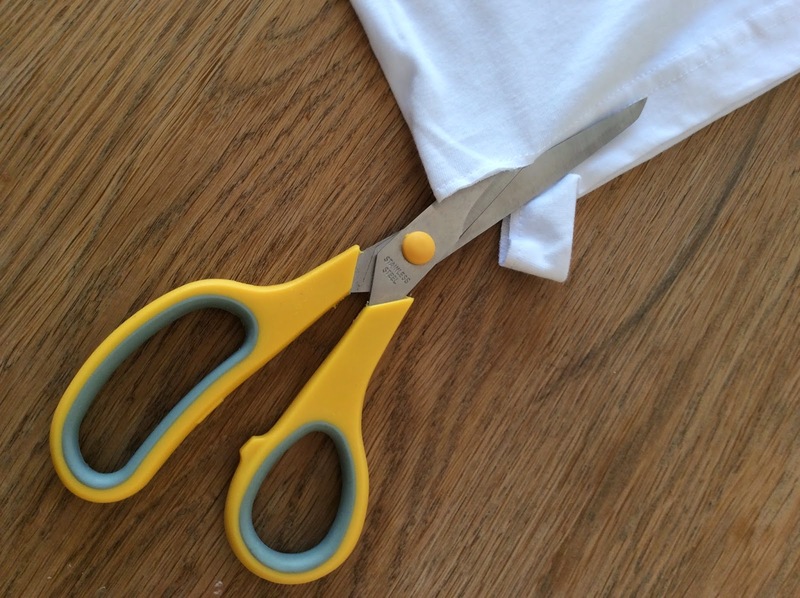 Cut a slit in the top of each sleeve, up to the shoulder. 5. Tidy up the retained arm cuff by cutting it slightly thinner and cutting away the pre-stitched bit. 6. Pass the shoulder tie through the sleeve, gathering up the material and tie tightly together, This will create a ruffled look. 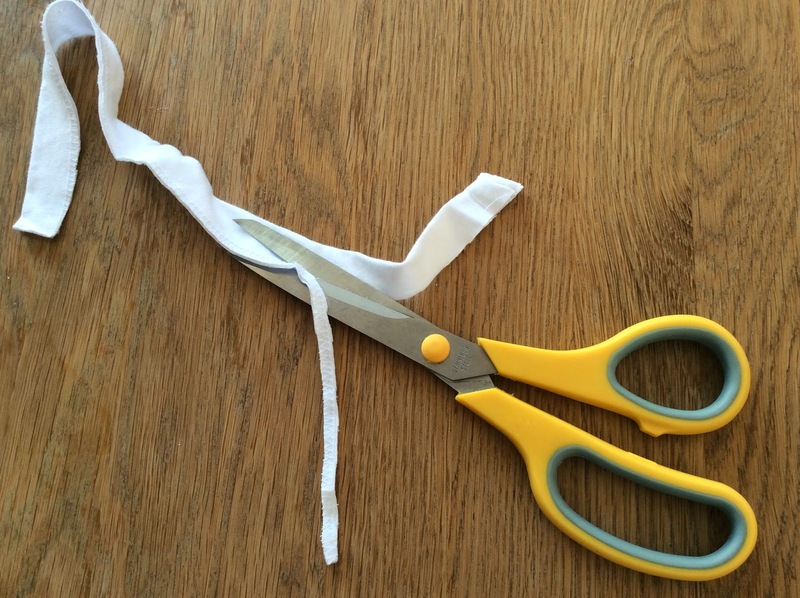 You can tie a bow or cut off the excess. 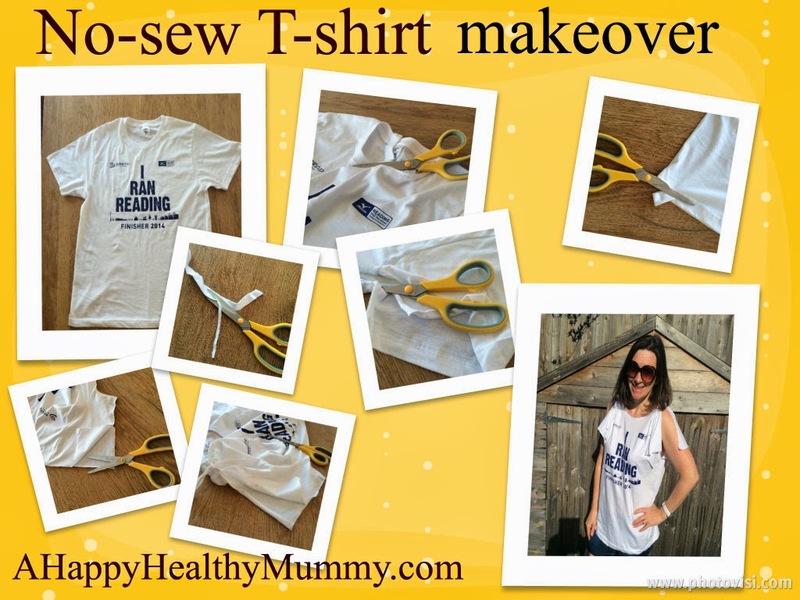 If you have more time, there are loads of other ways to re-fashion t-shirts. I also liked this more halter-neck style from Nic Howard's 'It's been one of the those days' blog. It requires a tiny bit of sewing, and the result is great. 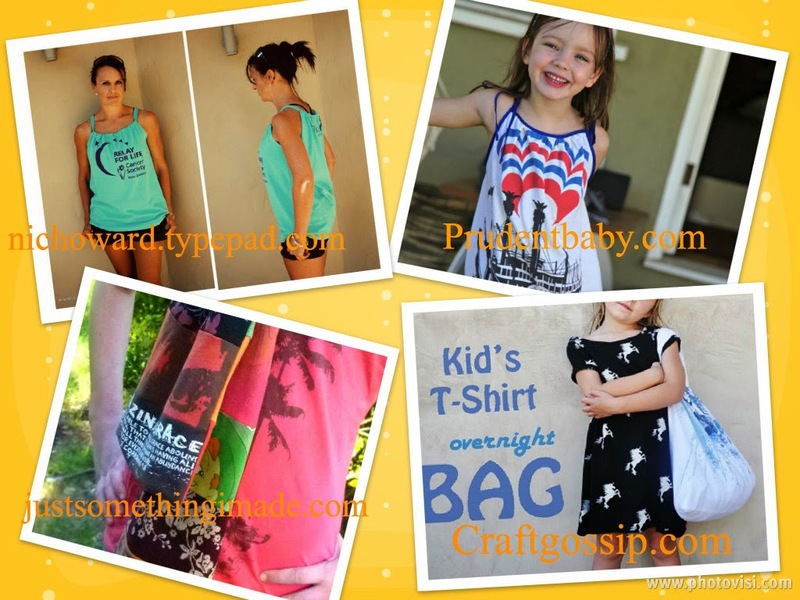 Alternatively you could turn your tee into a sun dress for your little one courtesy of Pretty Prudent, repurpose a whole load of old t-shirts into a scarf like Just Something I Made or make an eco-friendly bag similar to this one at Craft Gossip. Let me know how you get on with this project - or about any other upcycling you've done recently - in the comment box below. Very cool ideas! I never know what to do with those types of t-shirts. Looking forward to trying some of these! My kids love this sort of stuff too - we spent one day last summer making things out of old t-shorts daddy had slung out. Thanks for commenting. Great tutorial! I've always worn shirts like these to bed. Good to see other uses for them! Yes, that's my normal use for them too - but I want people to SEE I've run a half marathon!!! I might try & tighten up the sides on thus one too though as it's still pretty big. Ingenious, Vanessa! Next time I get one, I'll give it a go. You make it look so easy, although I am sure I would mess up somewhere.